I started this post this summer, and since it is still a relevant topic 6+ months later – Im going to leave what I initially wrote and then weave in where I am now. Its prob a weird idea, but im too lazy to start it up from scratch. BEFORE – An easy pick given the topic: George Michael. This post is inspired both by the difficulties Im going through in life in general and this blog post I found on my facebook feed. Im not going through anything more difficult than the regular up and downs of life. The anticipation of something new, moving back home after being out of my country for 3 months now, being bored, stressed and dealing with relationships. Nothing new, but sometimes they all combine together to make you lose hope and faith in yourself, others and the possibility of a better world. Ive been greatly irritated by the stupidity of men in general this week. Nothing new – but most of the program Im helping run out here is male interns this year and the conversations are gross, the commentary banal, the actions disgusting and Im seriously wondering if this is my fate for eternity, to be surrounded by the immature, or if it ever gets better. Therefore I got upset at the Best Friend who is often the number one propagator of such grossness and his sidekick, who thinks he’s hilarious, and kicked them out of room. I was told I was over-reacting, controlling, think Im better than others and a downer. All of these things are likely true. Combine this continued annoyance, with being sick from foreign food, sinus headaches, the lack of connection with the place, dealing with finding housing with a roommate from 6000 miles away and trying to help the BF get his shiz together for school – I may need to go home and cry for a while. Instead, I am obsessively watching Vampire Diaries from season 1, which is definitely easing the pain. AFTER – Now im obsessively watching other shows – all hail Netflix! – but the anxiety has been extreme. It may have been connected to my mother’s visit – it does tend to be somewhat distressing, given how long she was here. But work has been stressful as well. And the shear uncertainty has been exhausting. I met with my bishop last week. I told him the reason I havent been coming to church is because I have no idea how to be Mormon anymore; I dont know how to fit in and not feel awful about myself everyday. I dont think its exactly the church’s fault, but I still havent exactly figured out how to make it work. He gave me a blessing that I would have the courage and confidence to do what I needed and make the connections to come back. In many ways, I am not the girl who started this blog. Although I dont always feel a lot has happened, I guess a lot really has. Its been 6 months at my first job, its a large adjustment to the corporate world. Its been a long time without my friends near by and the process of making new ones is just a drawn out one, even though I have met some really great people. I still love this city, but the anxiety has taken control and its hard to enjoy anything. I had this moment the other day where I saw who I needed to be. And it was beautiful. This girl who was quietly confident, serene and sure of her place in the world and not running around like a nutso trying to gather up enough pieces of love to get by in the next few mins, hours, days. I saw children and how much I would love them and how important they would be to me – which is a very different feeling than I had before, when I did not know how I would feel or what I would want. I saw this future for myself that was more than all the things I wanted for myself, and I felt some peace that there was still a path forward for me. I wasnt sure what was left – I didnt have any specific goals for myself recently other than to be good. Not just a good person, but really good at stuff. But I havent been able to think past the feeling of being terrible at everything, which no facts seem to support, but my brain keeps wandering back to. Theres a way through this and that was a glimpse at what was beyond, but until then there is a curtain of solid anxiety between me and there. There is going to be a way through to that other life, but lots ahead for me. So Im not the same – I was bold before, now I feel timid. I was full of sharp edges about what I believed, now Im softer less aggressive. Im slowing down and trying to figure out whats going on in my life, so I can get to the other side of the curtain. Hopefully thats still of interest to you reader. Happy New Year! Lets see what 2014 has to offer. Its Christmas in New York. My mother is visiting, which has driven me up the wall, but holidays – arent they about being annoyed? Ive had the urge occasionally to write something in the past few months, but things have been busy as Ive started work and tried to figure out my new life. Its been interesting. I adopted a dog in July when I moved here. Hes really made a big difference in my ability to handle the stresses of building a new world. He just likes to hang out and then walk in the park, and so do I. Its nice to feel like a living thing is part of your life when you are alone so much of the time. Religiously, Ive been taken a break from everything. I went to church once in the middle east this summer, which was good in that I felt what church does do for me. That feeling of peace and connection is the most important part of what I continue to believe and wont be changed by any cultural difficulties I continue to have. However, I knew that I needed space if I was ever going to feel comfortable claiming to be LDS in the future. I was bitter and angry and unable to find a way to reconcile what I know with how I felt I was being asked to live. Marriage continues to be a sticking point for me – not because I dont want to get married (I very much do) but because I am someone outside of my ability to get a guy into heaven and pop out some kids for our eternal progeny. But its been an interesting few weeks. Emotional for a variety of reasons and I think I got my heart beaten into enough submission, that two days ago in the shower I had an epiphany. And with that epiphany came that same peace and love and confidence I havent felt in months, maybe longer. I stopped everything before because I felt I couldnt live up to the promises I felt and exercise the faith necessary to overcome all my doubts and unnatural anxiety to live a life beyond what I could imagine. I suppose thats what is asked of all of us. To believe in the unbelievable. But Im back to trying. I felt Him reach out to me and ask me to trust him. He gave me the time to ease my pains, while never going so far away I didnt know He was still looking out for me. But when He calls, He knew I would answer. I still believe. So this week, Im trying to go to the temple, I read Matthew 1 early early this morning (its Christmas after all! ), and Im blogging again. You can only forget who you are for so long. The point is, Im back. And the world continues to change, so theres still plenty to say about the topics I started with. Maybe even more now. Polygamy or some version of it legalized in Utah (one marriage certificate but all the living together you want! ), I think gay marriage was legalized as well (not exactly sure whats happening there), Duck Dynasty First Amendment nonsense. The world of religion and well the rest of it continue to collide in increasingly more snug ways. Everything around women and race is still sticky. So Ill do my best to keep up with my thoughts on the matter, and continue to talk about my ever evolving commitment to this odd religion that means so much to me. So thanks for listening if you still are. And the newbies, I hope I can say something of value to you so it doesnt feel like you are so alone in the world. I know what that feels like. Ok I think Im back. I took a mental vacation from the stress of the last school years of my life, and discovered a whole new well of stress based on having nothing to do and no idea what to do next. Oh well. 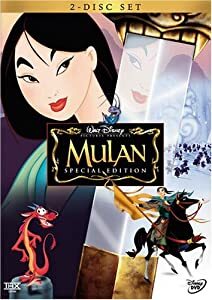 Song today: Christina Aguilera on the Mulan Soundtrack. I actually used this song to audition for a lead in choir back in good old high school. I was a bit too earnest and a bit too croaky, but I still love the movie and the song. Ive been struggling a bit now with what I want the purpose of this blog to be. At first, I thought it should be a forum, soapbox, for me to help educate people on the different kinds of people in the LDS church, as well as maybe let people inside the same church understand how the culture we are propagating is hurting those who are making good faith efforts to stay active. Like this blog here. So I did that and then kind of ran out of things to say, plus I noticed that it didnt seem to resonate as well with people (you :)) as the posts that were just me explaining what my life was like everyday, less obviously weaving around the descriptors of my blog title. Ive also continued to read the stuff on the internet that attracts me, and wandered back to thinking I should take a more obvious stance. I read this post today and while some parts were not resonate with my reporting style – I thought is this more of what I should be doing from my position? Should I be advocating a particular stance as a minority? The other problem is what if Im not speaking to an audience that wants to listen and rather gain evidence for the negative aspects of the church? I have major issues with the LDS organization and Im trying my best to deal with them without making any fatal errors. My core beliefs have not changed, but I have not yet figured out how they interact with the day-to-day life of being an active mormon. I would love to have a forum to express my disenchantment and disappointment, but I do think the church does more good than harm, just I think it could do more if we were willing as a membership. I still rely on my relationship with God to get through this mortal toil, but I dont want it to come across as overly embittered and prevent someone searching from finding the good I do have. I want to share the gifts I have, but I dont think I should be THE authority on being a minority or a woman or anything else, as I do believe in a plethora of experiences. Its the major reason why Im writing my blog – because I think my experience is one that is less readily available to the imaginations. Im hoping that, even without a soapbox, I can do myself, the God I love, and those interested a service. So Im back. And Ive been thinking a ton while Im out here in the Middle East being exposed to new ideas, new challenges, and contemplating my new future. So look forward to it. Aretha Franklin & Annie Lenox. Doin’ it for themselves. So one of my friends went to a fireside on a few Sundays ago with the Director of Operations at the MTC (LDS Missionary Training Center). He said that sister missionaries will now be 50% of the population, so the whole dynamics of how missions run will change. There will be sisters-only districts, and they will have to restructure leadership. And here is the proof of that. The organization of the Church [is] not complete until the sisters [are] organized. The interesting thing about this organization was that it was completely self-contained. In the current LDS structure, RS presidents report into a priesthood authority at every level. The ward level into the bishop, stake level into the stake president, so on and so forth. However, in the early church the RS structure did not report into the priesthood until the prophet. It was its own organization with reporting directly into the woman above until you hit the prophet, although now that I think about it, it wasnt that big of an organization or that widespread so it makes sense that Emma Smith, the new president of the organization, would have reported directly to the current prophet, her husband, as there was not anyone below her (2 counselors and a secretary were all that was chosen). That changed after Joseph Smith’s death. One version of the story is that Emma Smith, Joseph’s first wife (yes he was a polygamist), and Brigham Young did not get along. This was further fractured when she decided not to go with the rest of the Saints in leaving Nauvoo for the West. Obviously the LDS church was in flux after their exodus from Illinois in 1844, but I have never heard an official reason for the lack of the relief society for the 20 years. And the interruption is rarely brought to public attention unless you do some history reading, so remains invisible unless you look at the dates of the service of the presidents. Eliza R. Snow, the secretary of the original RS, did travel west, and in 1854, about 10 years after arriving in Utah, helped establish the Indian Relief Society, which was designed to provide services to the Native American population living in Utah. It was not until 1866 that Brigham Young called for formal reorganization of the Relief Society as part of the ward structure again, Eliza R. Snow was called as General President of the RS, but this time the RS reported into the local priesthood at each level. This may be the first formal structuring of the organization as it was large enough to need it as it was sustained throughout the rest of the history of the LDS church until present-day, where our latest General RS President and counselors were called a year ago, April 2012. I dont know where we are headed as a church in regards to the norms surrounding females. There was the recent Wear Pants to Church Day movement that brought out the ugly on both sides (there were death threats against the female founders by males and women who verbally attacked the orchestrators for their lack of understanding, etc) that in my opinion mostly illustrates that women in the LDS church are feeling the burden of inequality in roles and organizational structure. Many feel the lowering of the missionary age in the first place (from 21-19 for females, 19-18 for males) was designed to help with that inequality, but Ive also heard its to encourage more marriages as we dont have this “lost generation” of eligible women when males return from missions and women start to go on them. There’s also a group of women who are pushing to ordain women to the priesthood, as they see that as the major perpetuator of inequality in the LDS church. I have not paid much attention to it, but I know the power issues have affected my own life when how I wished to run my calling in the LDS church was mediated by a distant priesthood authority, who often shut down my ideas or made me feel I needed permission for something (nothing heretical people, just my inspirational awesome ideas to improve what I was responsible for). Maybe they did have final authority? No idea. Of course, today on LDS General Conference Saturday we can see the lastest manifestation of the debate. For the first time, women may give the prayers in conference sessions. So we will see about that. So, who knows? Im not even sure what changes I would want to see, but I know that as women we have something to offer and Im not sure that we are doing it yet. I have seen many examples of excellent women, excelling in school, in motherhood, in their lives, but Im not sure organizationally we get it yet. Anyway, just the lastest from the ranks.